Nigel Barker steps away from supermodels to find beauty in everyday girls. 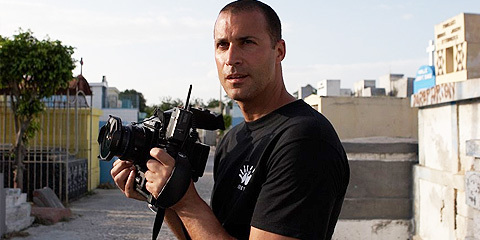 Nigel Barker knows beauty. As one of the world’s top photographers, he’s shot some of the world’s most beautiful people in some of the most exotic settings. His job is to capture beauty. As a former male model, he used to personify it. He’s sort of an expert in the field, and as an expert, he knows how hard it can be to define. Nigel’s book, Beauty Equation, seeks to do just that: define what’s beautiful. Despite all of his experience, he decided to write this book after a question from his young son, Jack. That one question sent Nigel on a mission to try to define something that is truly intangible—or, at least, put his own spin on it. The end result was Beauty Equation, Nigel’s written formula that explains every factor that he believes makes a person beautiful. “When I’m trying to take a picture of someone, as wonderful as their facade might be, as perfect as their skin is, as tall as they might be, as great as the clothing is, the props, the style and the location—that all makes for an interesting shot. It makes for a classic fashion picture, perhaps. But is it iconic? Is it timeless? Will it bear the test of time? The reality is, probably not,” says Nigel. Standing behind these beliefs about beauty, Nigel filled his book with images of women that he thought portrayed an inner beauty all their own. The majority of the photos inside aren’t of his good friend Tyra Banks or of the famous former contestants and winners from America’s Next Top Model—they’re of regular women chosen from craigslist. “They all have regular jobs; regular people doing regular things. The idea was that, hey, if I’m going to talk about it, I’ve got to prove it to you…In the chapter heads of every single chapter, not one of them is a model. They’re all cast from craigslist,” says Nigel. The everyday-women models took the opportunity to show their beauty before the camera and went with it. No props. No fakeness. Just them. 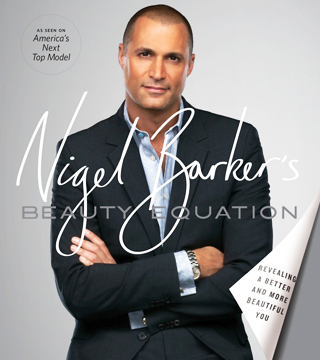 Nigel Barker’s beauty equation may be broken down into 10 parts for this book, in order to make it easier to understand. But beauty is by no means a simple concept. It means so many different things, at different times, to different people. So how did Nigel end up explaining something as complex as beauty to his young son? It’s his job to capture beauty; but it’s our job to uncover it in ourselves! Nigel’s breakdown of beauty, from Beauty Equation. Check out the interactive beauty challenge as you go through the book on www.beautyequation.com.